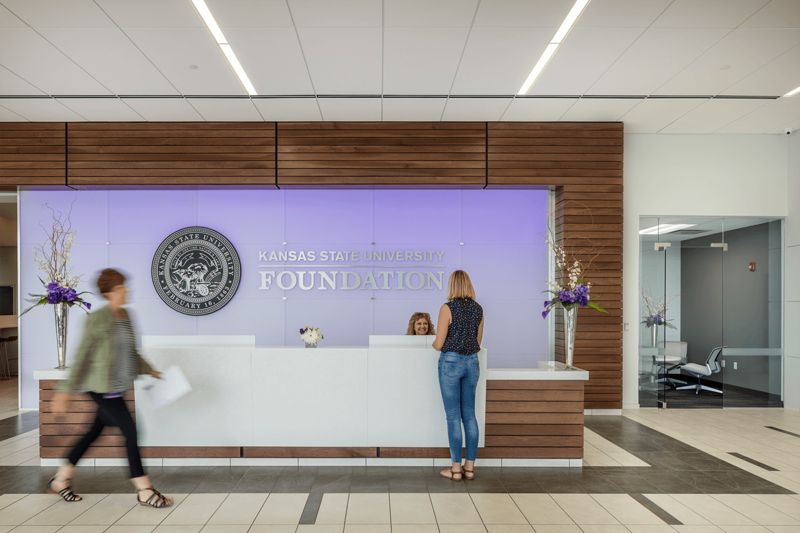 The Kansas State University Foundation is responsible for donor-centered acquisition and stewardship of private gifts in support of the university and its philanthropic and academic endeavors. 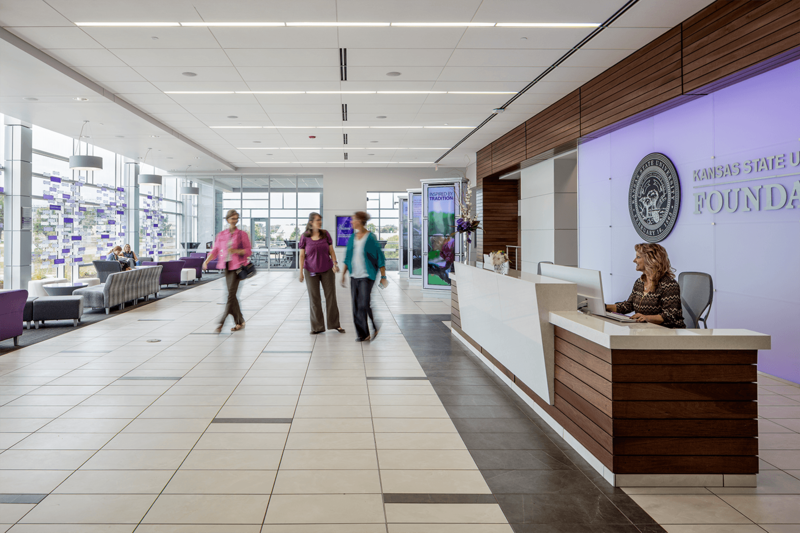 To ensure professional management of the assets under its care and to elevate the donor experience, and to better serve the needs of the K-State community, donors, current and future alumni, and employees, the Foundation moved forward with its plans to erect a new headquarters building. Unfortunately, the economic downturn required the budget be reallocated to meet student needs. The partially completed project was placed on hold in 2008, leaving only the footings and steel on site. 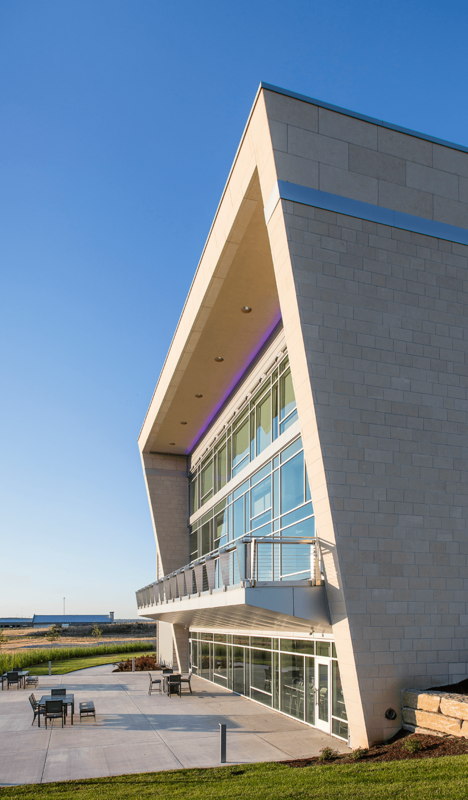 In 2014, the project was resurrected, albeit with additional specifications, a reduced budget and a requirement to incorporate the existing footings and steel to the extent feasible. 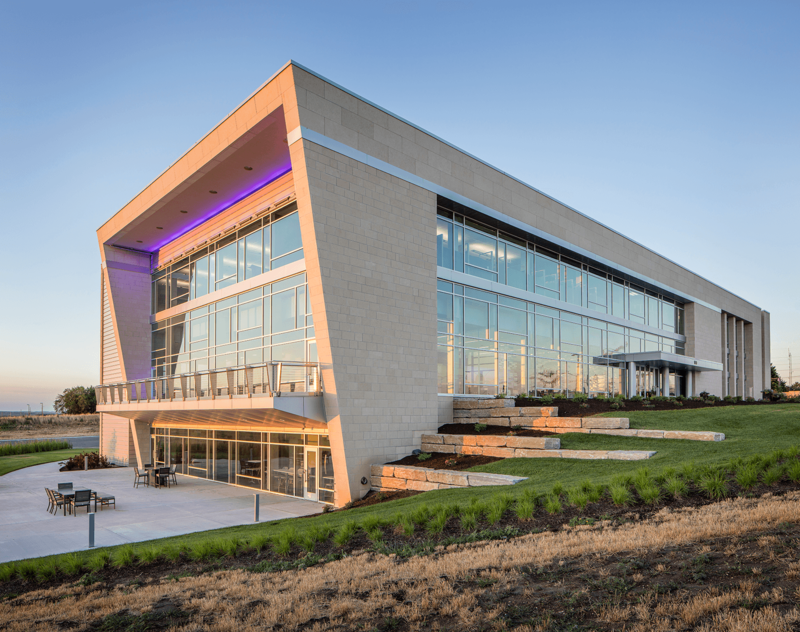 Hoefer Wysocki modified the design to accommodate the additional requirements and budget reductions, while incorporating 95 percent of the steel, which presented further cost savings. During this period, Hoefer Wysocki evaluated and thoughtfully integrated existing plans for academic research, student life, and administration into a unifying, long-range master plan for the university’s North Corridor, a 550-acre parcel north of its core campus. 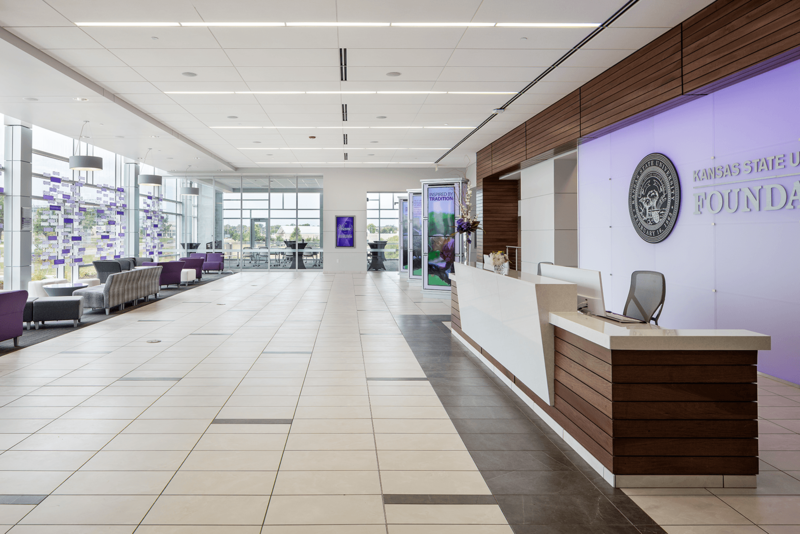 Today, the new Foundation headquarters, clad in the campus vernacular of limestone and glass, provides an engaging and welcoming experience for the K-State community, with flexible event spaces, offices, and reception areas. 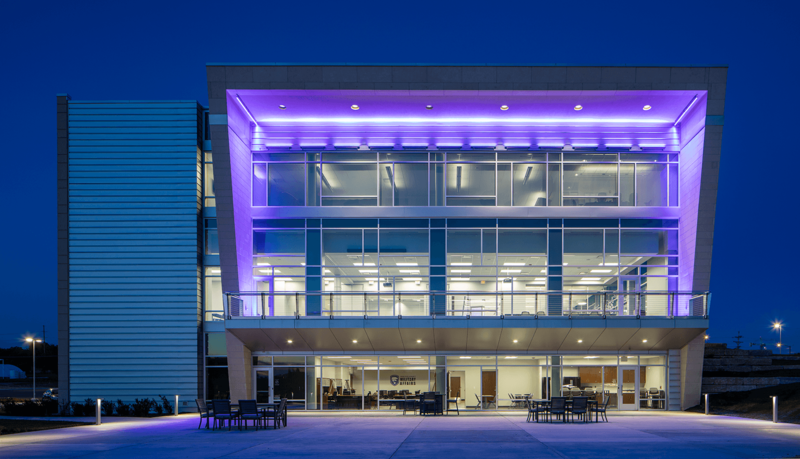 The university’s hallmark purple is used to illuminate the exterior balcony, enhancing the Foundation’s visibility and promoting team spirit on campus, thereby helping to build a strong connection with the students and faculty. 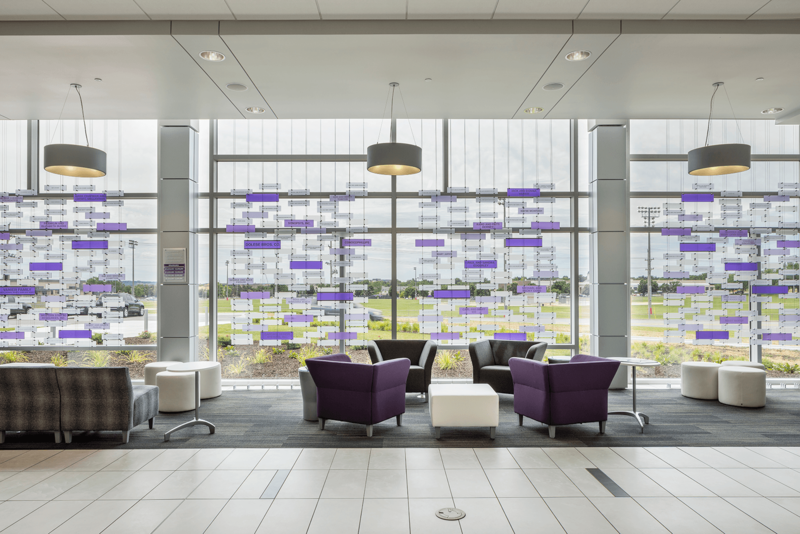 The lobby layout accommodates several different seating options that can be opened into one of the three multipurpose rooms. 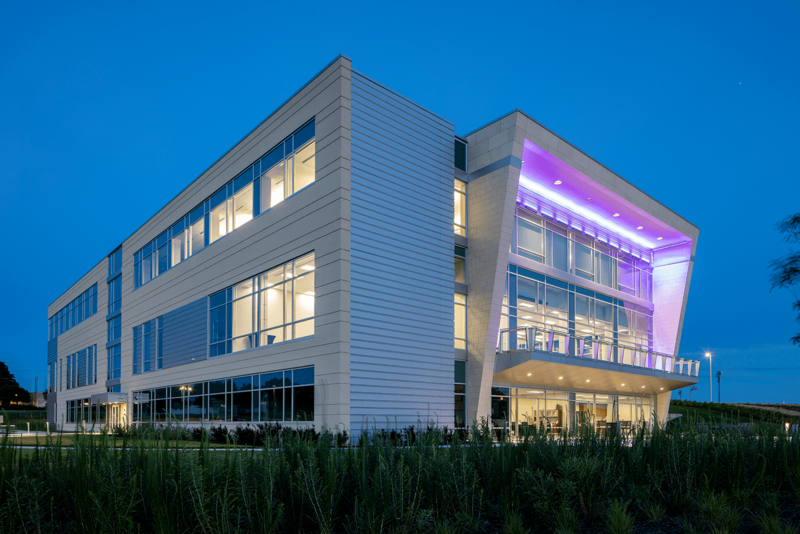 The blending of similar materials, colors and textures with thoughtful proportions and massing gives the new building a strong presence on the corner of Dennison and Kimball streets. The asymmetrical design adapts itself as a template for the materials, colors and proportions for future developments on the site.